This week, Alaska commemorates the 50th Anniversary of the Great Alaska Earthquake. The calamity destroyed whole towns, took lives and still stands as the largest earthquake to ever rock North America. KSKA takes a look at how one Alaska Community, Seward, rose to the challenge of rebuilding after the quake and seven tidal waves flattened most of the town. This hourlong radio documentary is produced by APRN’s Ellen Lockyer. 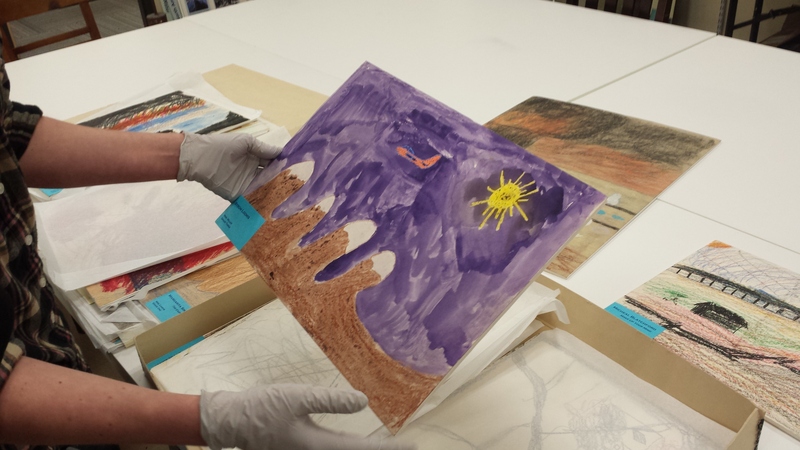 Seward Museum Library curator Kate Ruhland shows seventh-grader Janet Thomas’ recollection of the 1964 earthquake and tsunami. 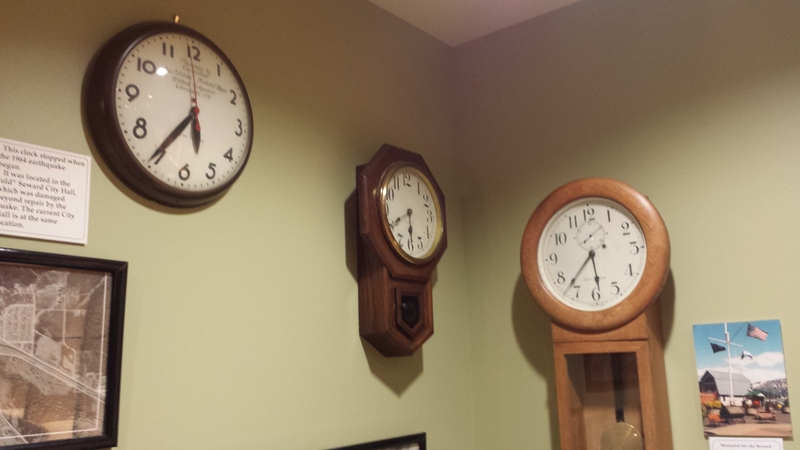 The three clocks pictured here stopped at exactly 5:36 p.m., the moment the earthquake hit Seward. Seward Library Museum. 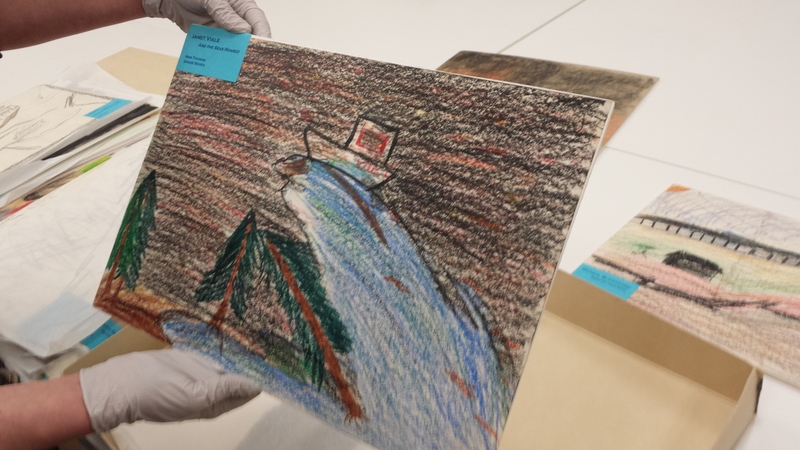 Seward Library Museum curator Kate Ruhland shows a piece of artwork by third-grader Byron Loomis depicting the earthquake and subsequent tsunami.